Find the right fridge or freezer to keep your food fresher for longer. Ergonomic designs help you maximise the space you have, while keeping up with the latest styles to enhance how your kitchen looks. Get some helpful advice to choose the right refrigeration product for your household. A compact undercounter fridge or freezer might be the best choice. They fit under worktops, so are well-suited to small kitchens and apartments. 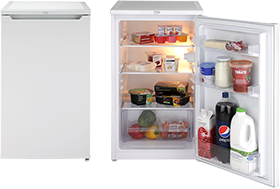 A high-capacity American-style fridge freezer is ideal for large families. Traditional combi fridge freezers suit most households, available in various fridge-to-freezer ratios. Chest freezers let you store more food long term – some models can be installed in a garage or outbuilding for real flexibility. Complete your kitchen and maximise space. Built-in fridges and freezers are made to fit a custom space. Built-in models create a seamless look with a front panel to match the rest of your kitchen. Enjoy huge storage space for all your food. Premium features like water and ice dispensers add convenience. 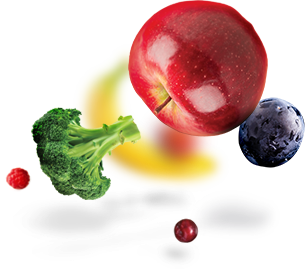 Cooling technologies like NeoFrost keep your food in the best possible conditions. Keep fresh and frozen food in one appliance. 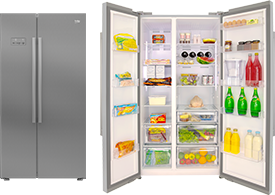 Flexible features help you make the most of your storage – Frost Free means no more manual defrosting, while Freezer Guard lets you install the appliance in an unheated space. 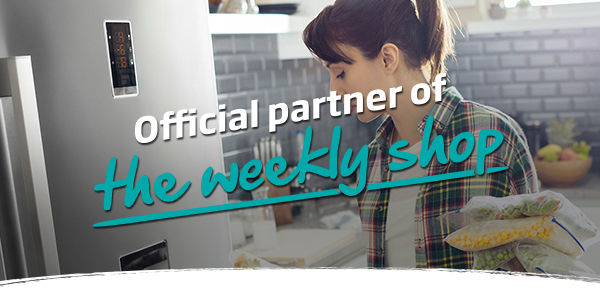 With A+ energy ratings, Beko fridges are cost-effective. Adjustable glass shelves make storage more convenient, and reversible doors help you align the fridge with different kitchen layouts. Find a tall freezer for traditional storage, or a chest freezer to store bulky items. Freezer Guard is standard on all Beko Freezers and lets you install them in temperatures down to -15°C.